flam Oct 13 2018 3:53 am he looks a lot like Si Ming from eternal love series that ive been wondering if they're the same person. Miana May 05 2018 12:14 am I saw him in Six Flying Dragons. And he's one of the ice breakers there! The comedy scenes mostly made by him. And then when I searched for more of his works, Oh my... he appeared in many kdramas! Dani Dec 28 2017 1:13 pm I just finished watching While You Were Sleeping, and started watching Two Cops.... very surprised to see him again, but now playing an evil character. Pretty cool... pretty cool. Nana Dec 28 2017 1:46 am hi, i think you missed him in two cops (mbc) because i saw him acting as the bad guy. Mars Dec 10 2017 2:16 am Ive seen him in 8 dramas!!! And not purposely seeking him, it just happens! Every single time im amazed with his comedic performance. bbvirus Nov 04 2017 4:31 am This guy is everywhere! But I love his character in School 2017 and WYWS! I can't seem to remove the images of him shouting 'SUNBAE' in WYWS ??? Hunter Nov 02 2017 11:22 pm This guy has a great sense of comedy, he is one of my most favourite actors to watch in funny roles. I've only watched him in School 2017 & WYWS and his acting in both is hilarious. I absolutely love him and can't wait to watch his previous works. I just know hes mastered a variety of genres. Ky Oct 14 2017 5:34 pm omgg i love this guy! :) i saw him in Pinocchio and is seeing him in While You Were Sleeping. He's always so hilarious and good at acting!! Directors are doing a good job in casting him ahaha. Janine Bermundo Oct 07 2017 2:18 am Whenever I watch Korean Drama, he's always part of the cast. Valerie Jun 12 2017 8:19 pm He was so good in 'Six Flying Dragons!' He was hilarious one minute and then very serious the next! I couldn't wait for scenes with him in them! 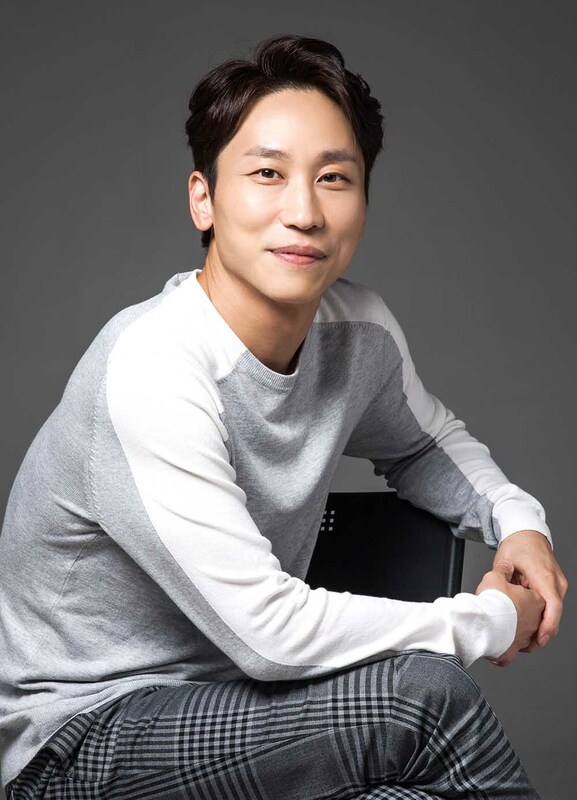 Elle Kim Feb 21 2017 4:56 am SeongWook is actually good looking man, I almost mistook him with Uhm Ki Joon (villain at Defendant) same strong character. His acting is great on Six Flying Dragon! beansprout Sep 06 2016 3:38 am I hate you in age of youth but I love you in Pinocchio and beautiful mind!! great actor!! suk2014 Mar 25 2016 5:40 pm Instead of chemistry of bang won-moo hyul, I also like chemistry bang won-young gyoo. He so excellent. baeri Mar 09 2016 1:10 am His loyalty in SFD for Bang Won is, i must say A+. Until he died, he stay loyal to Bang Won. Wising him many more dramas to come after SFD. ace Jul 21 2015 5:16 pm Ah...he is excellent in the new crime show, "I Remember You, AKA: Hello Monster." The guy is a natural born scene stealer. I'm not sure if he could pull off a lead character but I'd like to see him in the right vehicle that matched his talent as the lead. But for now, I'm content to admire his near-perfect character acting. ace Mar 06 2015 10:28 pm At the start pf Pinocchio, I questioned his choices for his character. Even that he might have been miscast. But with each scene he was in, I quickly grew to respect and admire those choices more and more. I increasingly liked his character exponentially with each episode. He was funny as hell. Mel Jan 16 2015 1:27 pm Love his acting in Pinocchio! He pulled off the character as Reporter Jang Hyun-Kyu very well; I always find myself entertained by his sarcasms throughout the whole drama. It was brilliant that the screenwriter / creator of this character gave Reporter Jang a catchphrase -"I'm not sure, I don't quite agree with that." Also, the fact that he wore a hair band in the drama is somewhat genius. Meh, definitely a good pick for this role!